Concrete walls may not be your idea of elegant decor, but embracing them comes with definite advantages. They are durable, fireproof, resistant to moisture, and make for excellent heat and sound insulators. But how about their aesthetic appeal? If you are stuck with concrete block walls or are considering concrete wall finishes, here are a few ideas on how to take full advantage of them and incorporate them into your decor. Pairing concrete walls with other raw materials and industrial touches makes them look an intentional part of the decor. 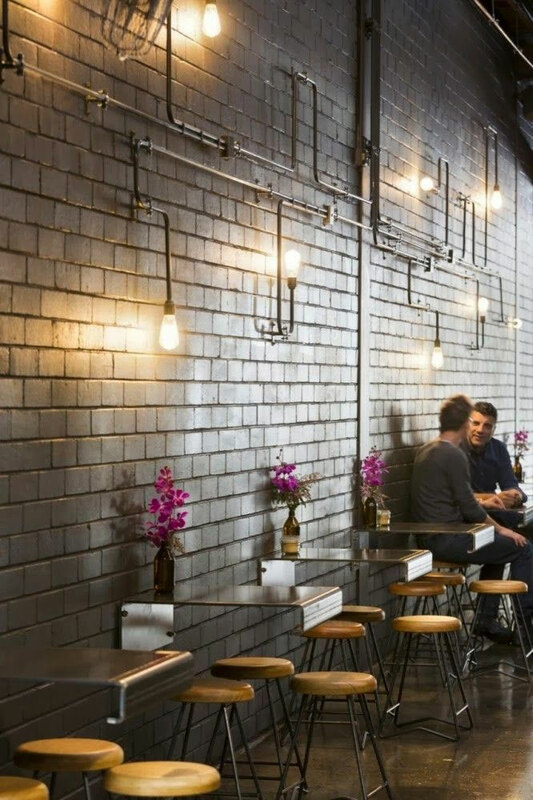 In this coffee shop, a series of pipes that end with exposed vintage lightbulbs add another decorative level to the concrete block wall, while the metal tables and metal chair frames get the necessary touch of warmth from the wood seats. 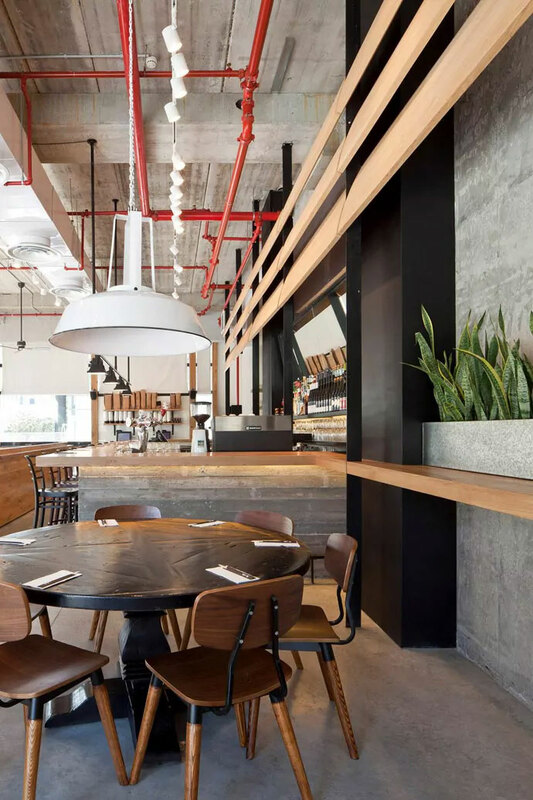 The charm of exposed concrete is evident in the design of Giraffe Restaurant located in Tel Aviv, Israel. The juxtaposition of concrete and wood elements creates a cold-warm contrast that is visually balanced and appealing. Fully embracing the industrial look, pipes are left exposed again, but this time they get the color treatment for a bit of chromatic variation. Greenery is used as another (very efficient) element of contrast, this time between living and non-living elements of decor. 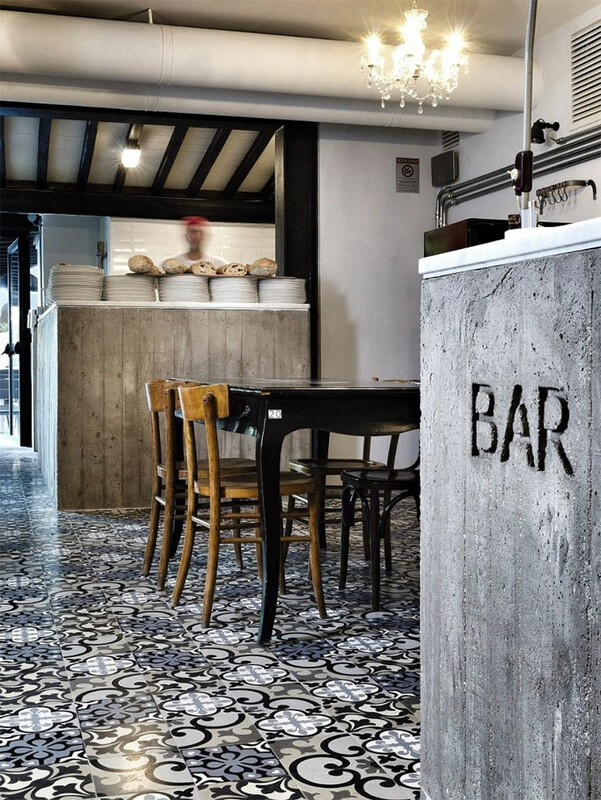 A concrete counter is a surprisingly efficient way to give a space a contemporary look while keeping the industrial vibes alive, as in this example from Kook Osteria & Pizzeria in Rome, Italy. Using this raw material as a background for some letter art takes it to another level. The concrete becomes the canvas on which you can create art. Concrete, however, is not only for walls and counters. 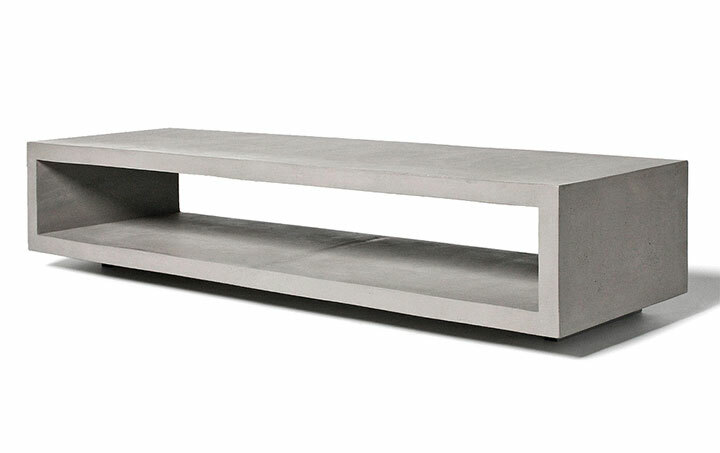 Aside from its obvious durability, concrete furniture has the advantage of being unique and making for an excellent focal point in your overall decor. 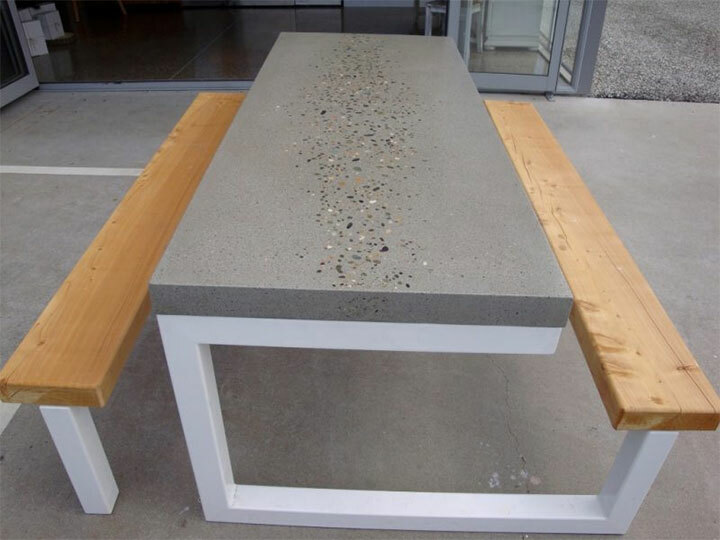 When concrete is used in outdoor furniture, the longevity and low-maintenance qualities of the piece give it a major advantage over other materials. 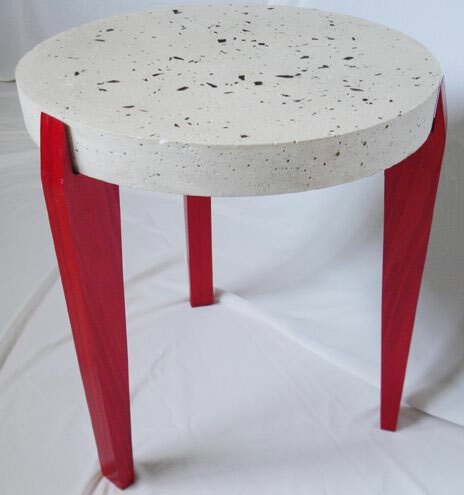 When used in indoor furniture pieces, however, concrete gives the space an instant contemporary, urban touch. Surprisingly, it warms up the space with its natural look and by bringing in another kind of texture. Used in combination with glass, wood and paint, such pieces can achieve an artistic value, perfect for a sophisticated modern interior.